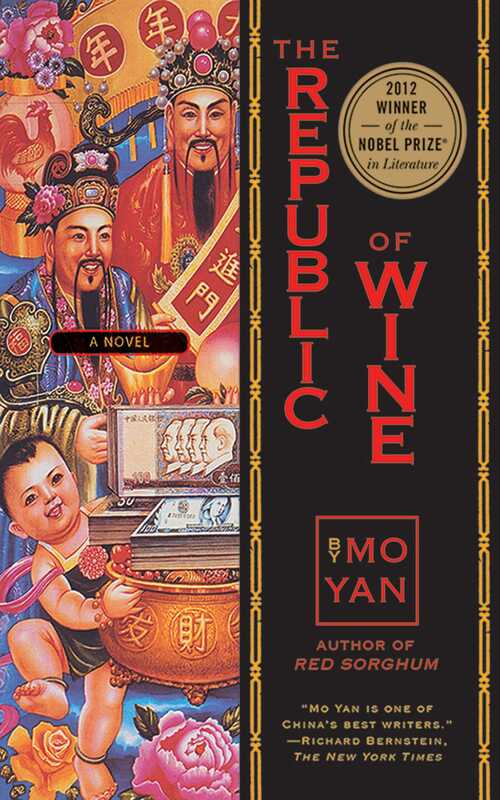 In this hypnotic epic novel, Mo Yan, the most critically acclaimed Chinese writer of this generation, takes us on a journey to a conjured province of contemporary China known as the Republic of Wine—a corrupt and hallucinatory world filled with superstitions, gargantuan appetites, and surrealistic events. When rumors reach the authorities that strange and excessive gourmandise is being practiced in the city of Liquorland (so named for the staggering amount of alcohol produced and consumed there), veteran special investigator Ding Gou'er is dispatched from the capital to discover the truth. His mission begins at the Mount Lou Coal Mine, where he encounters the prime suspect—Deputy Head Diamond Jin, legendary for his capacity to hold his liquor. During the ensuing drinking duel at a banquet served in Ding's honor, the investigator loses all sense of reality, and can no longer tell whether the roast suckling served is of the animal or human variety. When he finally wakes up from his stupor, he has still found no answers to his rapidly mounting questions. Worse yet, he soon finds that his trusty gun is missing. Interspersed throughout the narrative—and Ding's faltering investigation—are letters sent to Mo Yan by one Li Yidou, a doctoral candidate in Liquor Studies and an aspiring writer. Each letter contains a story that Li would like the renowned author's help in getting published. However, Li's tales, each more fantastic and malevolent than the last, soon begin alarmingly to resemble the story of Ding's continuing travails in Liquorland. Peopled by extraordinary characters—a dwarf, a scaly demon, a troupe of plump, delectable boys raised in captivity, a cookery teacher who primes her students with monstrous recipes—Mo Yan's revolutionary tour de force reaffirms his reputation as a writer of world standing. Wild, bawdy, politically explosive, and subversive, The Republic of Wine is both mesmerizing and exhilarating, proving that no repressive regime can stifle true creative imagination.